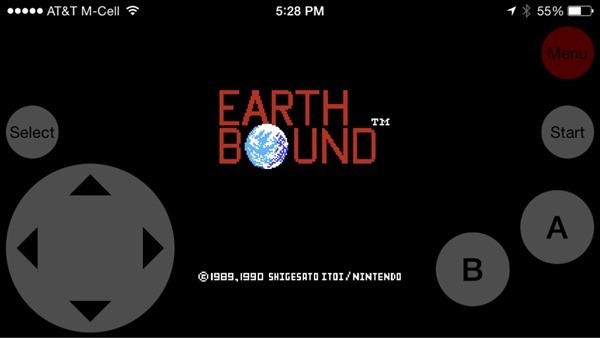 A new iOS app has snuck into the App Store that allows us to emulate NES and Super Nintendo games on our iPhone and iPad. Complete details and how to use it can be found after the break. Floppy Cloud is the app which we’re talking about, and is a paid file management solution available on the App Store, but it is much more than meets the eye. The app is only masquerading as a file manager – a function it no doubts upholds – and apparently has the ability to emulate and run your favorite NES and Super Nintendo ROMs without requiring a jailbroken device. Step 1: Download and install the app from here on your iPhone or iPad. 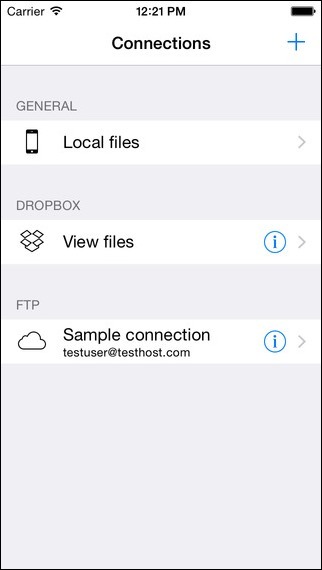 Step 2: Run the app and you should see a typical file explorer interface. Step 3: Hit the ‘+‘ button on the top right corner of the screen. This is where you’ll be adding your Dropbox account to the app, so if you don’t have one, make one. Step 4: Once the account is set up, tap it once and here we will assume that you already have a bunch of NES or Super Nintendo ROMs in your Dropbox. So go ahead, pick a .NES or .SMC file to manage. Voila! 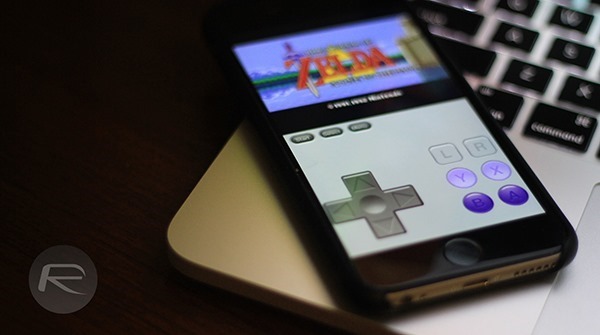 Your game should now open up in an emulator itself complete with on-screen virtual controls. This would not be the first time an emulator has snuck into the App Store, but the tactic employed by Floppy Cloud to charade as a file manager with a hidden emulator inside of it is unique indeed. Apple has a big “NO” sign hung in front of its app approval desk for all such emulators, but they have made their way onto the App Store in the past, even though they were pulled pretty quickly. Floppy Cloud is counting its time and the longer it stays on the App Store, the chances of it getting pulled in another minute or so also increase. The app is available on the iTunes App Store for mere $1.99, and is compatible with both the iPhone and iPad running iOS 7 and above. So, what are you waiting for? Go ahead and grab a copy of the app before Apple decides to pull the plug on it! wrong link… it sends you to floppy cloud!!!!! BAAAAD ZAYED…check first before posting!!! If you would have read the article you would have been able to figure out why the link sends you to the floppy cloud app. Here’s another great movie site I been using lately without the advertisements and hassle. If you are tired of these annoying popup advertisements, redirects to Appstore for apps you don’t want, slow movie downloads, dead movie links, movies keep stopping or buffering when streaming then I suggest trying this awesome movie site out by going to “thebigu,info” (replace coma for dot). I just downloaded The Hobbit: The Battle of the Five Armies and Exodus: Gods and Kings. I also downloaded a bluray copy of Gone Girl and The Equalizer and a great r5 copy of Horrible Bosses 2, Dumb and Dumber To, Fury, Nightcrawler and Annie without the text overlays. I also downloaded a way better copy of The Hunger Games: Mockingjay – Part 1, Beyond the Lights, r5 quality of Interstellar and the best version of John Wick with the video 9/10 audio 9/10. I get all my movies from that site. Sweet, I can’t believe it. I’m downloading the new Hobbit movie on my iPhone 6 Plus. Dude, you rock! i been looking for something like this for a while. thanks hun! This is soooo worth it!!!! I’m new to this so be gentle. I’ve got the ROMs in my Dropbox renamed .smc and .nes but I either get errors loading or a black screen with only virtual controls. What’s wrong? Not available in the US? Work around? I’ve logged in to my Dropbox account but I don’t see any files/games. Am I missing something? No thanks for 2 dollars and I was told it had ads in it for some reason. I’m skipping it. only works on the pakistan store. save the waste of time. That site is the best movie site and it works with all mobile devices, game consoles, PC and Mac.